Philadelphia Eyeglass Labs (East Norriton) - Book Appointment Online! 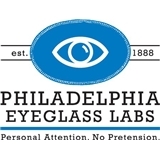 Since 1888, Philadelphia Eyeglass Labs has provided patients with high quality eye exams, eyeglasses, and contact lenses. Owned and operated by the same family for five generations, our optical practice was first established at 102 1/2 St. Marks’ Place on the Lower East Side. Since 1922, when Dr. Peter Messinger opened our first local office and wholesale lab at 104 N. 10th St., Philadelphia Eyeglass Labs has been a leader and innovator in eye care for the residents of the Philadelphia and suburban area. We manage all aspects of the process “soup to nuts” from the eye exam and frame selection, to the grinding and surfacing of your lenses right up to the moment you walk out the door in your new eyewear. Our optical team is passionate about helping you select the frames and lenses that fit your prescription, your face, and your budget. Whether it’s digital lenses, safety frames or progressives that you need, our experienced optometrists and dispensing opticians will craft a set of frames and lenses that fit you and your lifestyle. Plus, we manufacture your glasses in our very own in-house lab- betya’ didn’t know that! More than anything, though, the reason we’re still thriving is because we don’t go home until everyone’s happy. It’s our mission to make sure you feel like the valued patient you are every step of the way. The personal care and attention we give the people of this town has lasted through the ages; we’re tried and true.